Ralph (Reilly) and Vanellope (Silverman) have become very accustomed to living their lives inside the arcade in both of their video games. That all changes when the owner, Mr. Litwak (O’Neill), plugs a wi-fi router into their outlet. They have no idea what’s inside the Internet, but Vanellope’s always up for an adventure. Vanellope’s game Sugar Rush malfunctions when the steering wheel breaks off the machine. A couple of customers inform Mr. Litwak that the only replacement can be found on eBay for hundreds of dollars. Vanellope and Ralph hear this dilemma and head into the Internet hoping to find eBay, track down this hard to find steering wheel, and save her game. 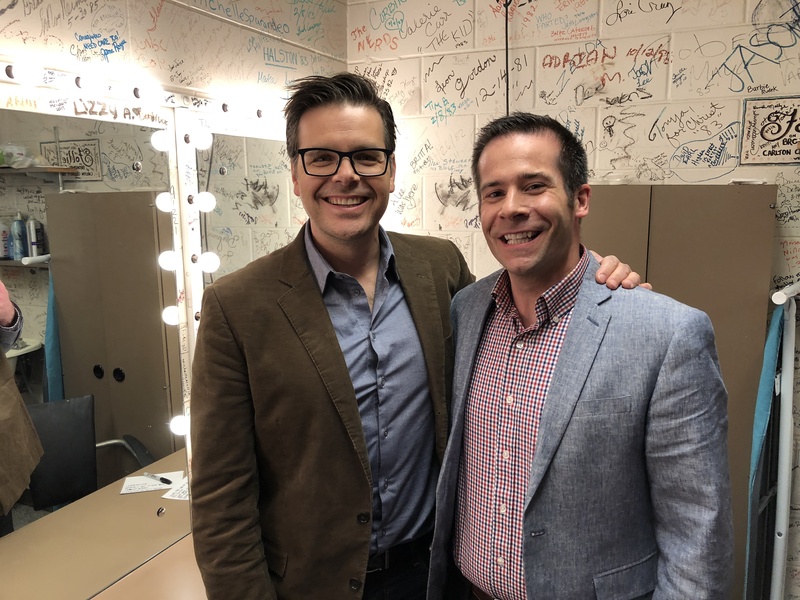 Me and director and writer Phil Johnston at “Twin Cities Live” – He’s from Minnesota!